To read the article on the Brown University College Hill Independent click here. This Is An Emergency, a project organized by local artist and printmaker Meredith Stern, combines both visual and written artworks that address issues of reproductive rights and gender justice. 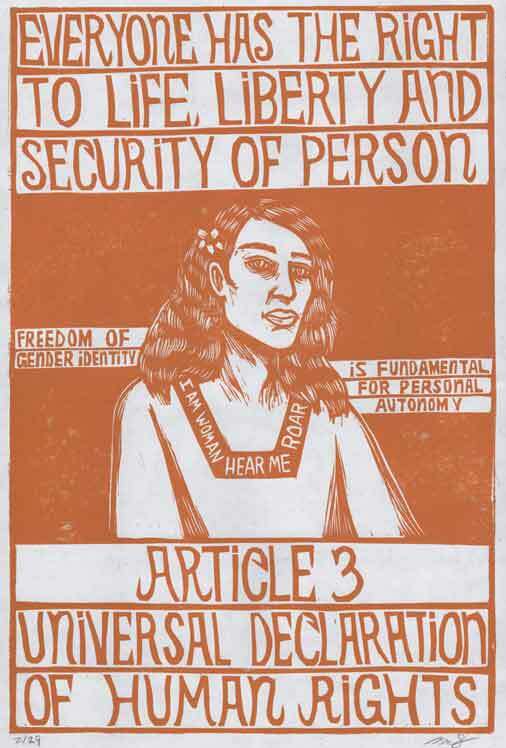 On view at the Sarah Doyle Women’s Center, the title ofThis is An Emergency proclaims the portfolio’s message plainly and the impactful design of each print further points to the urgency of the desperate state of gender equality, views on sexuality, and access to reproductive health. 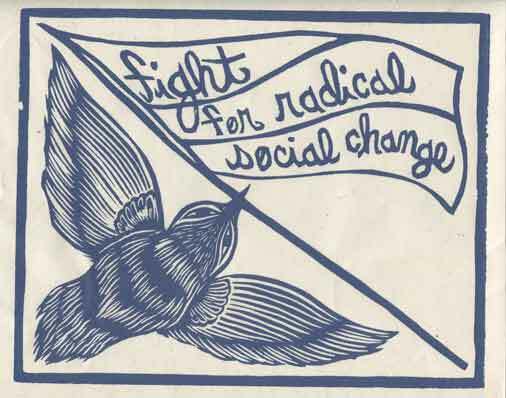 Many of the prints, which Stern devised to be viewed and distributed as a collection, address a specific injustice, countering attack on reproductive rights or access to health care. Her call for awareness and action on these issues is timely. Last May, Republican lawmakers proposed a federal ban on abortions 20 weeks after fertilization in the District of Columbia, neglecting standards set by previous legislation which limits the right to choose only in cases of sexual assault in danger to the mother’s health. The recent funding cuts on women’s health care providers has been even more severe. GOP leaders have proposed and passed legislation in some states to strip Planned Parenthood of public funds on grounds that the organization provides abortion services. These are not federally funded and they constitute three percent of Planned Parenthood’s services which include providing birth control, breast and cervical cancer screenings, and other essential preventative health measures to millions of women and men. Several prints in the show examine the ways in which recent attacks on reproductive rights have exacerbated other forms of oppression. 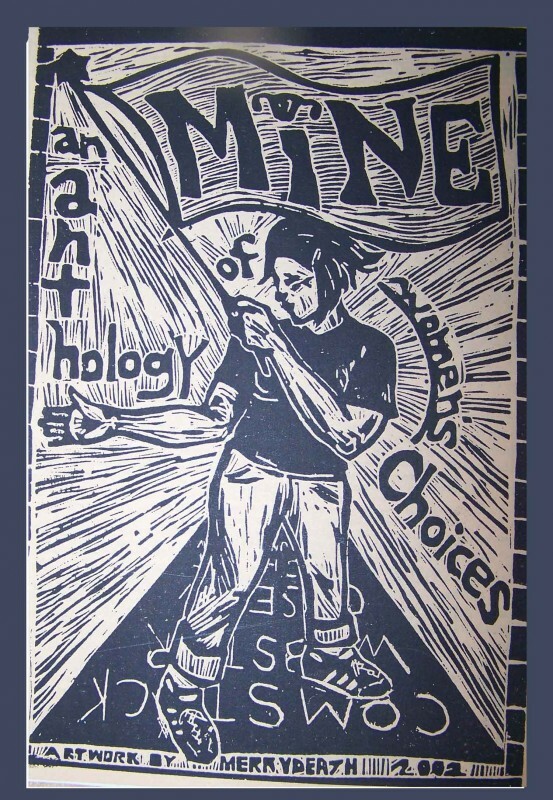 Molly Fair, an archivist, activist, and multi-disciplinary artist who participated in This Is An Emergency, created a print that depicts an ultrasound scan, the word “choice” replacing the space where a fetus would be read and the words “self-determination,” “access,” and “equality” surround the image. Similarly, Kristina Brown writes in accompanying text that her piece “Our Bodies, Our Decision” addresses the “overwhelming, over-reaching, and oppressive decision-making happening in local governments around the country surrounding reproductive rights.” The image depicts a group of women rallying, holding signs of “Equal Access,” “Stop the War on Women,” and “Reproductive Freedom for All.” The demands for health care access and reproductive autonomy are also explained in more specific demands. Xicana activist and artist Melanie Cervantes’s print “Reproductive Justice” depicts working women of color, a group disproportionately affected by recent restrictive measures on health care. In a talk held after the opening of This is An Emergency at the Sarah Doyle Women’s Center, Stern stressed that a main goal of the project is to highlight the intersection of attacks on gender justice and reproductive health and many other forms of oppression. The shaping of the portfolio, both through Stern’s method of selecting artists and through its modes of dissemination, successfully speaks to her intent. “I wanted the group to be comprised of folks who tend to be marginalized in artistic endeavors,” Stern explained. 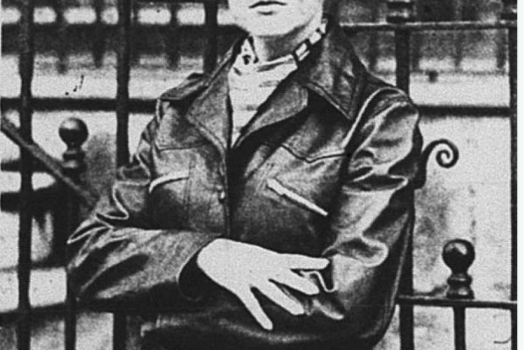 This meant specifically approaching women of color, queer-identifying women, and transgender artists underrepresented in major museums, both because of the general exclusion of certain artists or, more pervasively, because of the suppression of queer and transgender history and context of their work. According to a study in Out History by Weena Perry on the misrepresentation of queer and trans artists in museum exhibitions, The Museum of Modern Art discussed queer themes in only 3.4 percent of its exhibitions between 1995 and 2005. Some museums, including the New York Historical Society, have failed to include queer or trans themes in any context for over a decade. When questions of sexuality or gender are featured in exhibitions, it often serves as a token singular phenomenon and less as an outreach for overall inclusivity within artistic communities and endeavors. This is An Emergency, is an attempt on Stern’s part to reach out within her community. Half of the artists she approached for the project are women of color, while a quarter are transgendered or genderqueer, and the last quarter cis-gendered, straight women. While the approach could be read as methodical, it assured the exhibit would not simply feature minority voices, but provide the possibility for an amplified volume. Stern further expanded the scope of the portfolio by reaching out to Providence artists and activists whose work doesn’t explicitly connect art and activism. 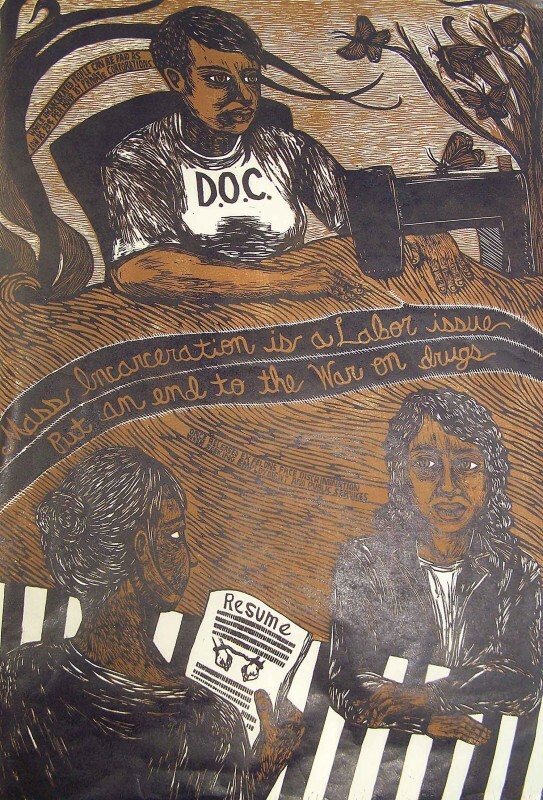 Additionally, some of the printmakers designed their prints in collaboration with community organizations that work against the injustices portrayed. This allowed the project to speak to the broader activist community working on various political, social, and environmental issues. Stern and many of the other printmakers are members of the Justseeds Artists’ Cooperative, a printmaker activist group comprised of members throughout North America. Their unity statement offers, “We believe in the transformative power of personal expression in concert with collective action.” To this end, Stern has donated two dozen copies of the portfolio to grassroots organizations, which will use the images to help further promote their activist work. The possible impact of This Is An Emergency lies beyond its artistic production; the power of these prints lives in the collaborations that inspired them and in the conversations they can inspire. ANA ALVAREZ B’13 is a union of seven states.